Water 1: Rain. Travelling north from Perth we saw some clouds starting to build up. The first day we dodged the showers… Then Lisette wanted to see some spots I had already been so we agreed to split up, we would both travel at our own pace and meet up again in a week. 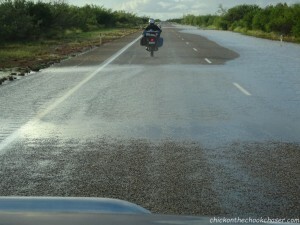 This day there was no avoiding the rain, several big downpours landed right on my helmet and I was soaked by midday. That night I found a spot to camp and pitched the tent in two minutes when the rain eased a bit. Safely and dry in my tent I ate the left over pasta from the day before and fell asleep with my face on the book I was reading. The next morning the weather hadn’t changed much. During a rare dry spell I quickly packed up the tent and strapped all my belongings on the bike again. 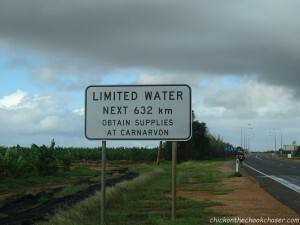 Soaked and shivering I reached the first roadhouse, filled up with petrol and treated myself to chips to warm up. Walking out of the warm comfort of the road house I saw a familiar blue vehicle pulling up next to me. Lisette jumped out, we talked a bit about our plans, the weather forecast (more rain) and me not quite feeling like sleeping in a wet tent tonight. 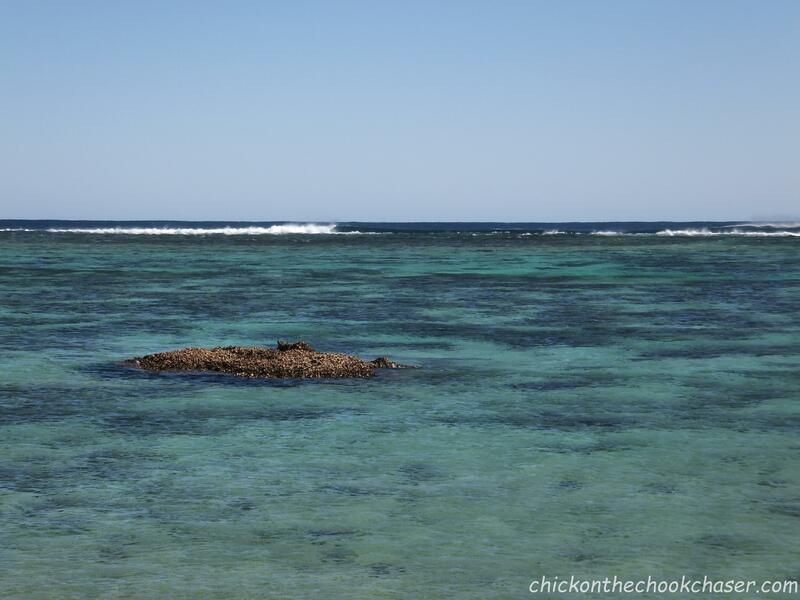 We decided to continue the trip to Monkey Mia and Exmouth together. 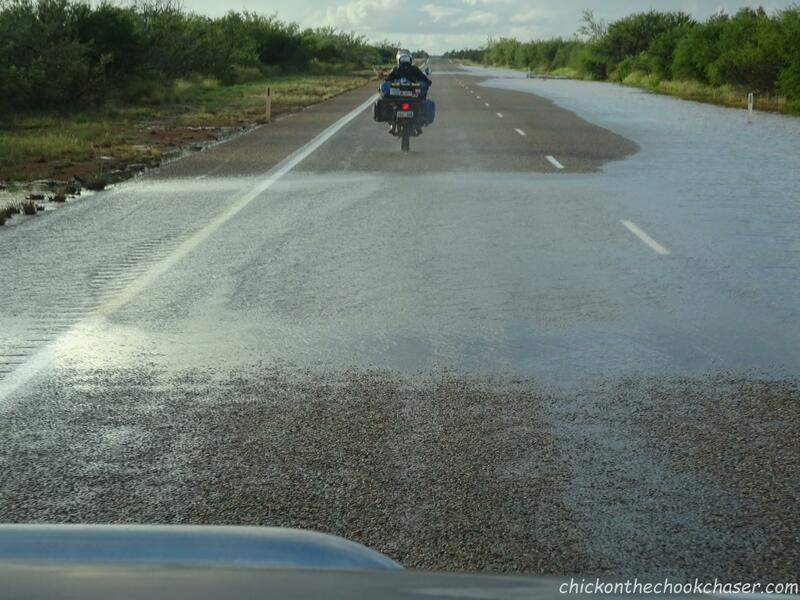 It wasn’t until a few days later we realised how extreme this rain was. Areas that are known to be extremely dry were flooded. Large parts of the highways had been incorporated in the rivers and streams, I was so excited to be riding my bike through the water! Water 2: Sea. 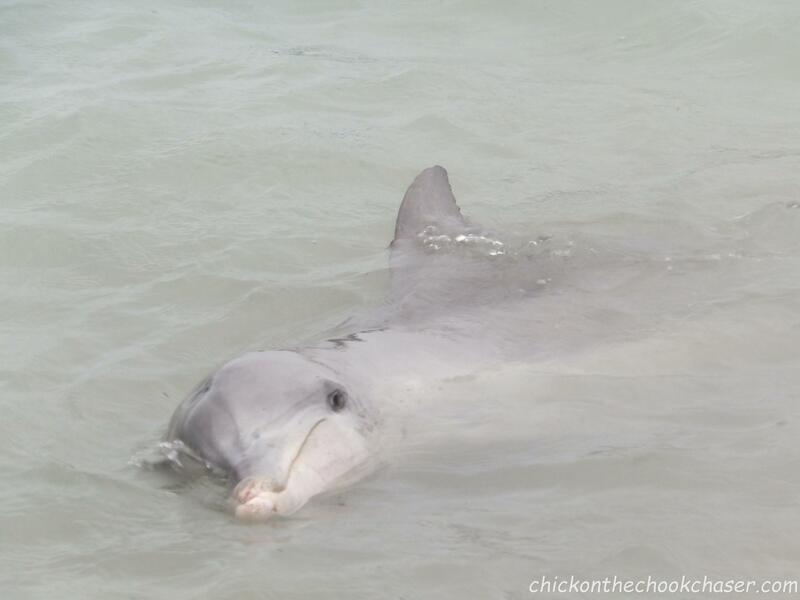 Monkey Mia is a spot on the Australian west coast where wild dolphins have been fed by volunteers for years. The dolphins now come to this place regularly and you can easily see them from the beach. In the morning everyone staying in the small park gathers to witness the dolphin feedings. Today it was a bit different from other days because the weather gods decided to add a little more rain to the mix. Here we were, standing in the ocean with the water coming up to our knees, jumping up with every wave to protect us from the sea water, while raincoats of all colours protected us (and our cameras) from the water from above. Somehow my fluorescent green jumper stood out enough to be picket out of the crowd to feed Puck, the dolphin. It’s magical to be so close to sea life! Water 3: Coral Reef. Although coral reef technically isn’t water, it is in the water, and it is more than worth mentioning here. After Monkey Mia we set off to Exmouth and Ningaloo reef. This day we crossed a lot of creek crossings that weren’t supposed to be creek crossings, but the rain had stopped. 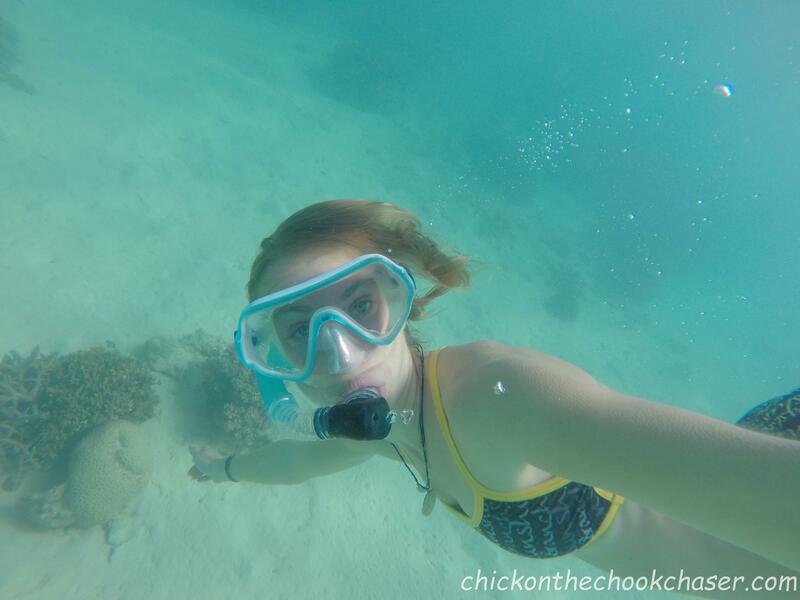 At first we snorkelled in Coral Bay. The underwater world was stunning, so many fish, and they were only just off the beach! 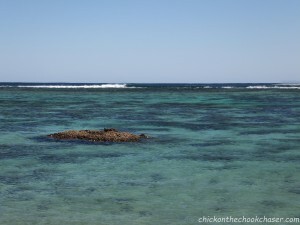 Later, when we snorkelled at Ningaloo reef it was even better. To me this was one of the highlights of the trip. Being able to just walk of the beach and see the most amazing underwater world… You’ll just have to check it out for yourself.